Are we humans just too damned multifarious to understand urselves? Are we doomed to endless confusion and conflict? Is this a problem I should burden you with? Am I such a small minority that I should just shut up, and like the people said to Jesus, ‘Physician, heal thyself’? Then there are many divisions within each of these levels. Many biological drives and functions, many more social, and even more intellectual – level after level, division after division of rational inquiry. And most of all these levels and divisions are fighting for dominance or survival inside us. But wait, it gets worse! If my theory is right, hidden within all these co-existing, and often warring, levels of being is a whole other dynamic with its own complexity: the logic of process itself. Every process of sufficient complexity has five aspects or phases : Input/receptivity/observation; novelty/imagination/guessing; Reaction/planning/logic, output/defence/testing, and status quo/stable systematic functioning. aspect of society. In their own process zone and level, what they each do is moral and good; to each other though they can seem like the personification of evil. I believe there is reason to hope that all this will pass, as humans gradually ‘get’ this bigger picture, and we learn to use a new ‘co-ordinate system’ which ‘places’ all individual processs in a level and an aspectual zone – and when we see that there IS one multifarious Whole which evolves because of all these seemingly conflicting levels and aspects of our process being. But we will only really ‘get’ that when we experience it unifying our own inner complexity, harmonising the discords. 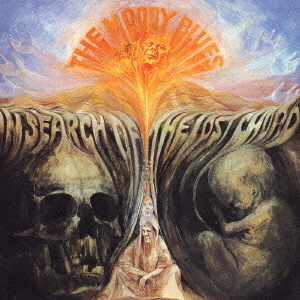 To find our own inner ‘Lost Chord’ (see the Moody Blues album ‘In Search of the Lost Chord‘) is to do that, whether in full intellectual awareness or at an intuitive level. Before his visit, I had one day when I listened to symphony no. 3 by St Saens while working on the prototypes for the physical desktop ‘flow rainbow’ (aka flowbow), and the way that symphony builds with various broken and seemingly unrelated themes, to a seeming conclusion, an anticlimax. But into the silence a single massive chord breaks forth, multifarious in its reverberations yet single and unified. Then all the other themes come back and are fulfilled and the whole goes to a new level before coming to a triumphant conclusion. This is exactly what I feel when I ‘see the light’, have a new unifying idea, understand a whole area of life in a new way. It is also what we feel when we feel ourselves suddenly unified after a long period of fragmentation. All the fragments take on new meaning and are connected. Here’s to that near-miracle! Let’s seek to be multifarious – in unity of mind and spirit. Let’s seek that Lost Chord! If this possibility stirs you, go to my flowrainbow.com blog click on the ‘follow this rainbow’ button. That’s where I will be ‘showing and telling’ about this unifying vision and method of understanding any situation or process, and becoming much more powerful in life and work. The physical flow rainbow, the questionnaire to find your aspectual and life profile, and the rainbow graphic for your computer desktop will all be there too. See you over the Rainbow!